Another day, another five YA titles unveiled. Today it is a bunch of titles published this decade...with an exception to one. “Shadow Kiss has forbidden romance, a realistic portrayal of teenage/student life, great action, strong friendships and heartbreaking moments that makes it the best book in the series." Mary, reader. It's springtime at St. Vladimir's Academy, and Rose Hathaway is this close to graduation. Since making her first Strigoi kills, Rose hasn't been feeling quite right. She's having dark thoughts, behaving erratically, and worst of all...might be seeing ghosts. One of the most prolific YA authors of the past few years, Mead works on three series simultaneously. Shadow Kiss is the third title in the Vampire Academy series that has graced both USA Today and New York Times Bestseller lists. Recently the film rights have been acquired and seeing Rose, Lisa and Dimitri (and ADRIAN) on the big screen is an exciting proposition. Starting out as a meteorologist, Snyder first publisher work was the fantasy title Poison Study. The first in the Study Series, it won the 2006 Compton Crook Award for best debut novel from the Baltimore Science Fiction Society and the 2006 Reader's Choice Award from the Salt Lake County Library System. It was also listed on the YALSA 2009 Popular Paperback list funder the Spies and Intrigue category. “Ness creates a compelling and strange new world, filled with secrets and surprises that are all the more rewarding because we learn about them at the same time that poor Todd does.” Angela Craft, Bookish Blather. 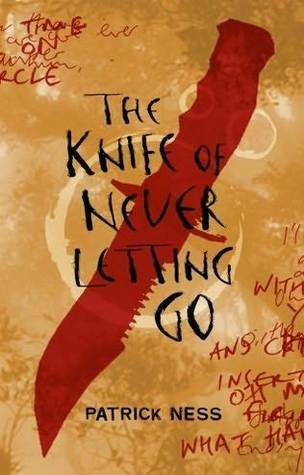 The Knife of Never Letting Go is the first instalment in the Chaos Walking Trilogy. An involving exploration into a dystopian world without women, this title grabs ever reader by the throat and hangs on until the final sentence. Ness won numerous awards for his first YA title including the Booktrust Teenage Prize and the Guardian Award. Ness has taught creative writing at Oxford University and been a literary reviewer for many well respected publications. Patrick Ness’ podcast with a Q&A and extracts. Interview on children’s television show. The Newbery medallists have made a strong showing on the Top 100 YA novels list so far and Jacob I Have Loved is no exception. 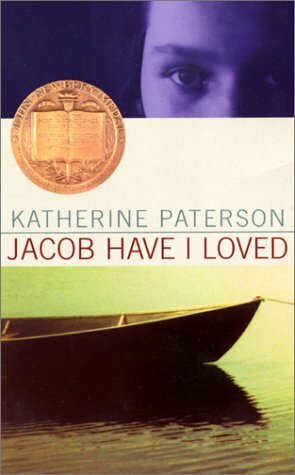 Katherine Peterson won the Newbery Medal in 1981 as well as tagged one of the School Library Journals’ Best Books of 1980. The ALA recognised the novel twice as a Notable Children’s Book (1976-1980) and as being one of the Best of the 1980s. Peterson credits William W. Warner's Beautiful Swimmers: Watermen, Crabs and Chesapeake Bay for the germ of an idea that brought forth Jacob Have I Loved. Warner’s exploration of the Chesapeake Bay tradition of watermen captured her interest and set her on her way. Katherine Peterson’s summary and other useful materials. “I never thought I would read a zombie book, let alone fall in love with one - the book, not a zombie :). Beautiful prose and a storyline that didn't follow a Happily Ever After. My heart was racing and I felt like I was right there with Mary and the others. Truly blew me away." Deborah Taggart, reader. Hold onto your hats – the zombies (excuse me, the Unconsecrated ) have arrived! Inspired by an article on overfishing tuna, Ryan hit the ground running with her tense and atmospheric debut work. Readers have responded to Mary’s tale strongly with The Forest of Hands and Teeth appearing on the New York Times Best Seller list as well as being announced as an ALA choice as a Best Book for YA, A Borders Original Voices finalist and a Junior Library Guild selection among many other recognitions. Great audio interview with Australia’s ABC radio about Ryan’s inspiration, zombie prejudice and romance in a unique setting. I just wanted to say a big thank you for the enthusiastic response to this Top 100 YA Novels list. I am ecstatic that it is prompting readers to search out books they were unfamiliar with! Check back in and tell us what you thought of your new discoveries. *agrees with Rhiannon* definitely would be in My top 10 :D I'm surprised, i've read all of these! I've read all five of these, too. First time that's happened thus far, so yay! This is the first group of five where I've actually read more than one (Shadow Kiss, Poison Study, Forest of Hands and Teeth). This is the first group where I have read more than one too. 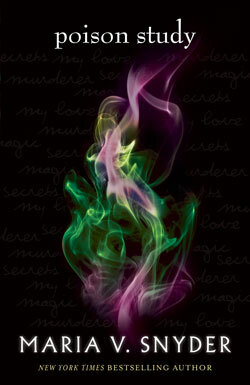 Loved Magic Study and Knife of Never Letting Go. Some really great books on this portion of the list. Loved Forest of Hands & Teeth as well as Poison Study. I still need to get to the Patrick Ness series. I have all three books and hear so much about them but haven't had the chance to pick them up yet.